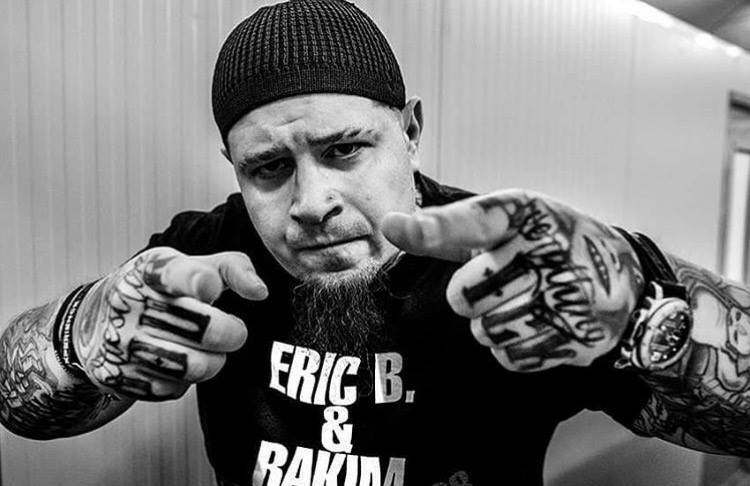 Vincenzo Luvineri (born October 5, 1977), better known as Vinnie Paz (formerly known as Ikon the Verbal Hologram), is a Sicilian American rapper and the lyricist behind the Philadelphia underground hip hop group Jedi Mind Tricks. He is also the frontman of the hip hop collective Army of the Pharaohs. He released his first solo album, Season of the Assassin in 2010. This was 18 years after Paz had originally started rapping. He released his second album God of the Serengeti in October 2012. In 2013, Paz confirmed that he was working with Army of the Pharaohs to release In Death Reborn, which was released in 2014. October 22, 2013 marked the release date of his second EP; Carry On Tradition. His third solo LP The Cornerstone of the Corner Store was released on October 28, 2016. He released his fourth solo album The Pain Collector in September 2018.